JHU Yong Han Lion Dance Troupe – Wishing you the best of luck! Wishing you the best of luck! We are Yong Han, the lion dance troupe based in Johns Hopkins University. We’re a group of students passionate about lion dance, and we’d love to have new members! Our practice times are listed here. You don’t need to be experienced- we’ll teach you everything! If you’re interested in having us perform, please fill out our booking form. 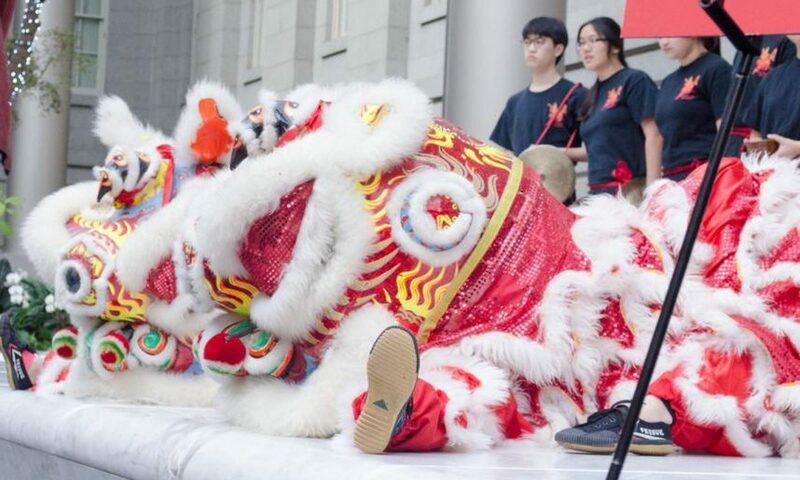 Yong Han Lion Dance is Baltimore and DC’s leading collegiate lion dance troupe specializing in the fut san style. We perform at weddings, birthdays, New Years celebrations, and more!